Solutions for the difficult areas 1. In some areas, it was not feasible to layout new beds. 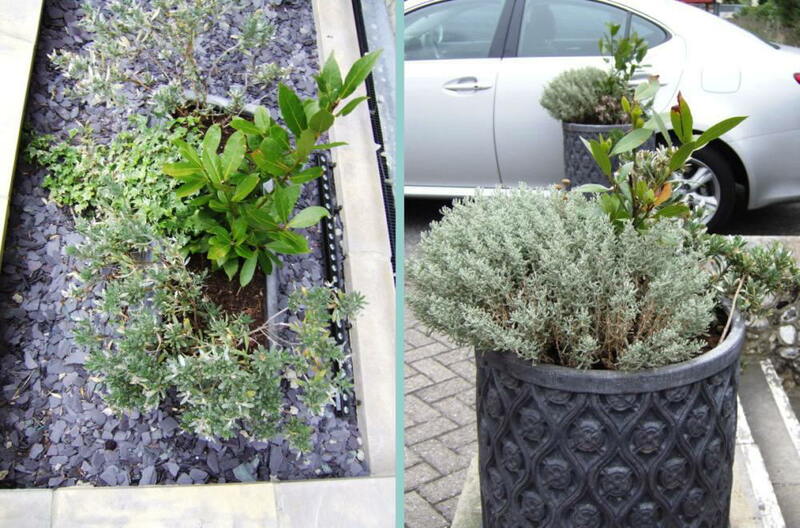 For these areas, we chose faux lead pots and planting troughs, in period style. Exposed areas of soil were covered with slate chips, which help to reduce dehydration due to the sea winds. The colours of lead and slate tone in with those of the existing flint and of the new planting.